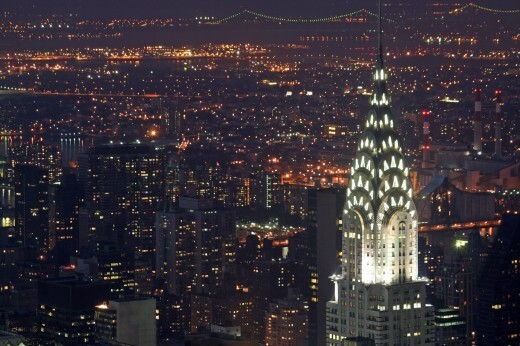 Any art movement can be captured in architecture, and one of the best is the art deco inspired Chrysler Building. At Lexington Avenue and 42nd Street in Manhattan, NY it took under 2 years to build and was completed in 1930. It was the tallest building in the world at that time until the nearby Empire State Building eclipsed it. 319m and 77 stories tall (only 71 stories are actually used) the building is probably mostly known for its ornamentation and machine-age cladding material. 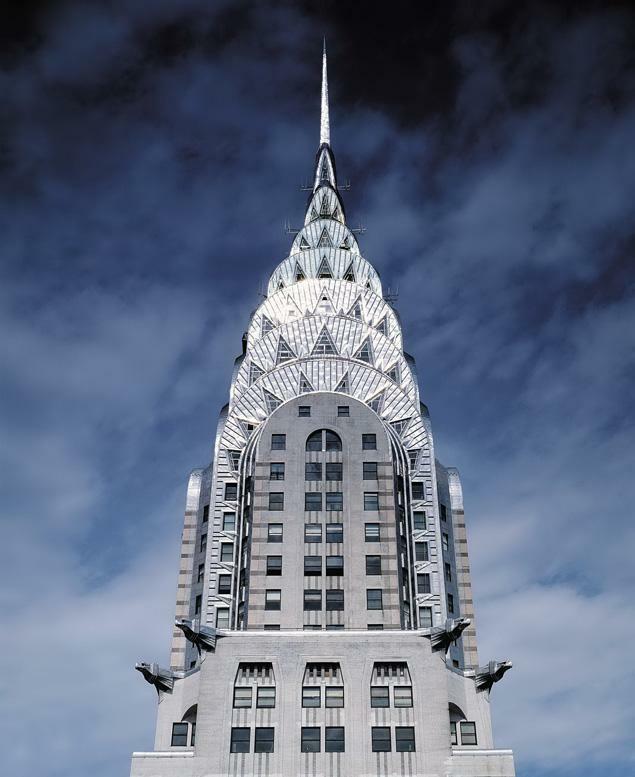 Being art deco meant it is equipped with elements such as hub-caps (paying respect to the original owner Walter P. Chrysler), eagle heads, pineapples, and mostly in chromium-nickel steel and limestone, and is ultimately capped by its 56m tall gleaming spire. The lobby itself is art deco heaven with African marble, chrome and fresco. 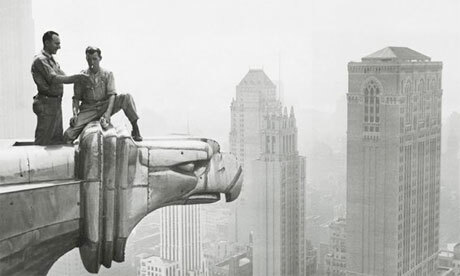 The architect William Van Alen and owner both wanted the Chrysler Building to be the tallest building in the world so they secretly worked on the spire inside the building and away from public eyes. The spire was finally hoisted up through the top of the tapering four-sided repeated sunburst dome and bolted into place to the surprise of everyone. In fact once the new One World Trade Center is completed (and will be the tallest building in New York) the Chrysler Building will still be the fourth tallest building in New York behind the Empire State Building and the Bank of America Tower. The building was extremely innovative in that it was one of the first buildings to use stainless steel over such a large surface. The main material used on the main section of the building is brick whereby the patterns used are changed at every setback which are significant in itself and add to its vitality and visual delight. On a personal level, when you see this building in the flesh, walk through it, feel it and live it, it is a an awe-inspiring moment. Art as architecture live and breathe here and work together seamlessly. A building that is its spirit of the age. So do you like? Let us know, or if you have any buildings that inspire you.